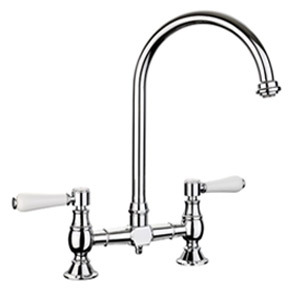 Over time, kitchen taps have evolved to accommodate our fast paced living. 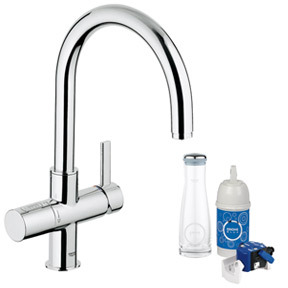 Now you can have taps that provide instant boiling water and taps that provide water filtration. 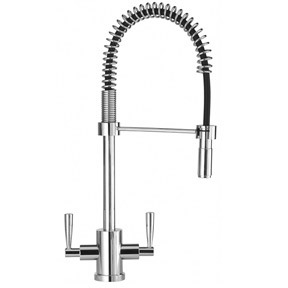 View our range of kitchen taps by clicking on the images below. 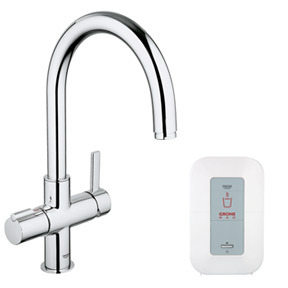 Operated with a single lever for easy control of hot and cold water mixing. 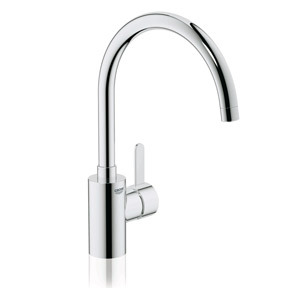 Double lever taps allow for precise control of both hot and cold water flow. 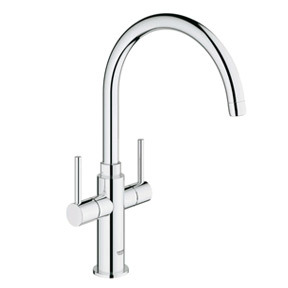 Traditional choice that works well with Belfast kitchen sinks. Instant jet flow water flow that you can use to quickly rinse dishes and vegetables. Provide instant boiling water for all important teas and coffees without having to put the kettle on. Reduce water hardness as well performing further water purification.